There are four different companies, CBS/Sony, CTA, JVC and Sanyo, that have manufactured Japanese targets for Warner Bros. with red target squares and lettering on the silver or gray background. In this post I will show some new acquisitions of these targets that were intended for the US market and because CBS/Sony mostly manufactured targets for the domestic market, I will skip this company for now. CTA is the smallest company of them all and only manufactured a few Target CDs. Shown below is the CTA variation of John Fogerty Centerfield with matrix number 25203 X-6 1A1. It is the only CTA pressing that is also available as a JVC pressing with exactly the same color scheme. 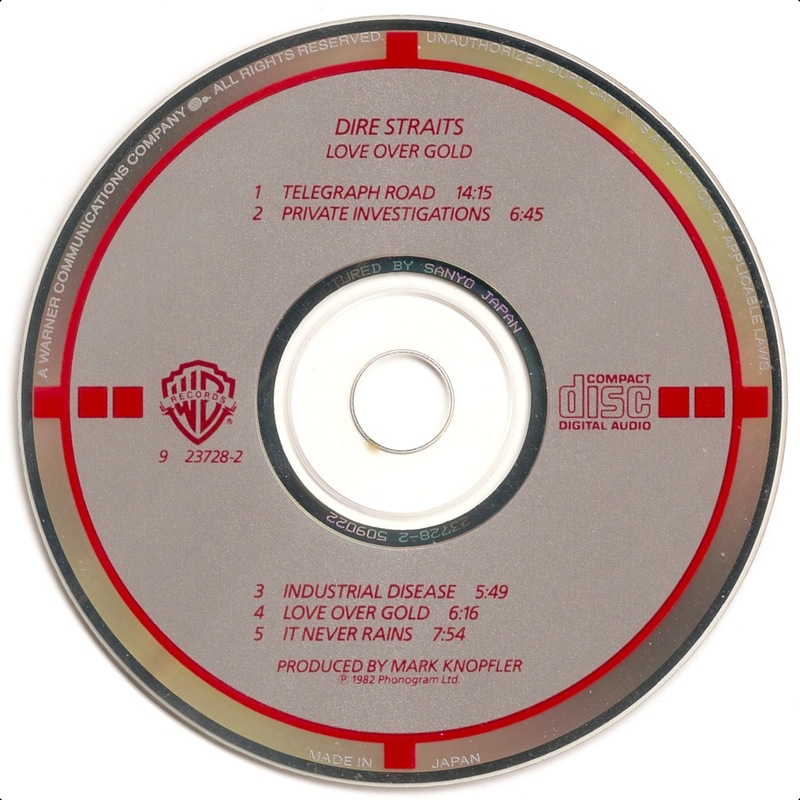 George Benson Give Me The Night, The Doobie Brothers Best of the Doobies, Al Jarreau Breakin' Away and Neil Young Harvest are some other examples of Japanese Targets manufactured by CTA for WB. Although they were released on another label, the Japanese pressings of the two Pretenders targets, Pretenders and Learning to Crawl, are worth mentioning here as they were also manufactured by CTA. These two targets were released on Sire and they both have purple targets and lettering on a silver background, which is a unique color scheme in the Target universe. Finally it is interesting to note that all the inserts that accompany these CTA targets were printed in the U.S.A. and not in Japan. It seems that CTA only took care of the CDs and left the paperwork to local printers. The next manufacturer to produce WB targets for the US market is JVC. These targets often come in two different variations. On the first variation the red target squares and lettering are pressed on a silver stock background, while the second variation has a silver paint background. Shown below is the silver paint variation of Van Halen Van Halen. This variation is harder to find than the silver stock variation, which is quite common. 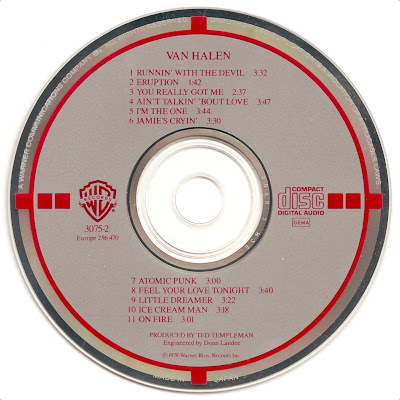 Others examples of JVC Targets that come in two different variations are John Fogerty Centerfield, Chaka Khan I Feel For You, David Sanborn Straight to the Heart, Van Halen 1984 and ZZ Top Eliminator. Besides these, many other JVC WB targets exists with only a silver stock background. JVC also manufactured targets for Geffen and Sire using different color schemes. The last manufacturer is Sanyo whose production on WB seems to be restricted to only British artists or bands. Just like the JVC targets, these Sanyo targets can be found with two distinctive color variations. On the first variation the background color is glossy gray. With the exception of Dire Straits Communique, this variation can be found on all Sanyo WB targets. Below two different versions are shown of Roxy Music Avalon with glossy gray background. On the first the matrix number ends on 508075 while on the second version it reads A6B23J. 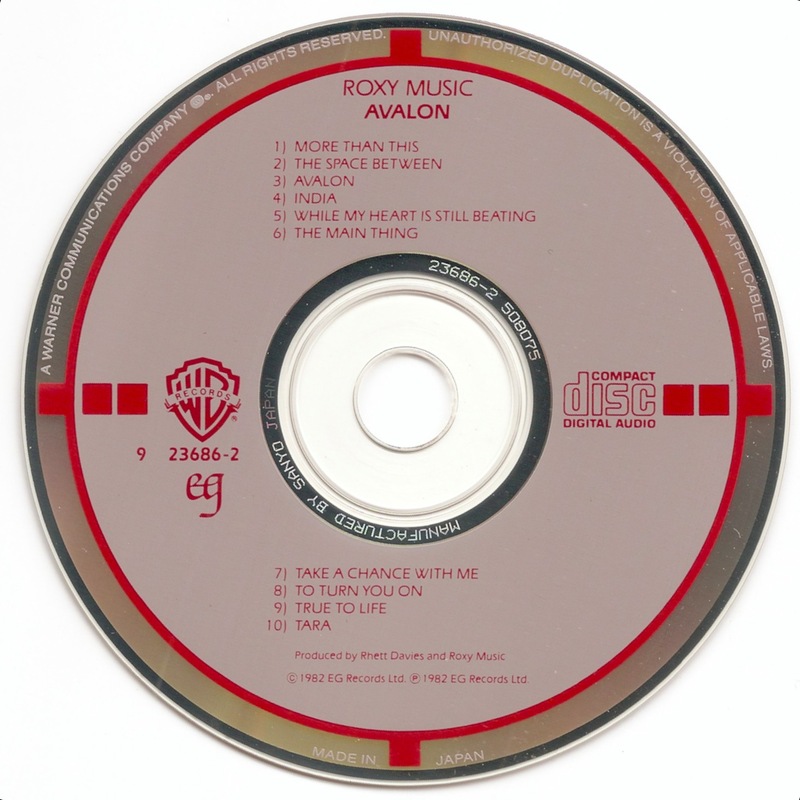 Since the first version came with inserts printed in Japan, while the second had the artwork printed in the U.S.A., I suspect that the latter is a more recent pressing. The background color of the second variation of the Sanyo pressings is silver paint, which is comparable to the silver paint color that is used as background color on the West German pressings on Warner Bros. The examples below of two different targets by Dire Straits have both a silver paint background and although it is not very clear from the scans, the background color is a brighter shade of gray when compared to the one of the glossy gray variations.